The staff here at Inshes Dental Center have great pleasure in introducing you to our modern well equipped centre on the outskirts of Inverness. We are proud of the quality of our dental care and expect your time with us to be a pleasant experience, and that the improvements we make to your dental health and smile will be a benefit to your sense of well being. 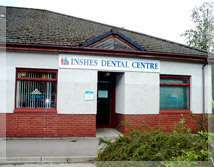 Why Choose Inshes Dental Centre? 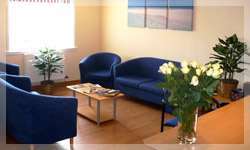 • To receive treatment from highly qualified, experienced, caring clinicians and their team. • To get metal free cosmetic crowns, fillings, inlays and bridges. • For a comprehensive service from simple treatments to complex… for example implants. • For painless treatment and great customer service, monthly special offers and much more contact the practice. To enable the dental team to offer highest standards of care and service each treatment room has all the equipment needed for the provision of modern dentistry. Our dental nurses are enthusiastic and work closely with the dentist and patient. We use a highest standard of dental materials and dental laboratories in order to obtain long-lasting lifelike results for our patients. Disabled Access. Toilets, reserved parking etc. Computerised practice with modern diagnostic equipment. Small childrens' waiting / play area.